Athletes with disabilities can play almost any sport. There is adaptive equipment to allow participation in these sports if needed. Athletes with disabilities are able to compete in sports at elite levels. These levels can be only fractions behind athletes without disabilities. 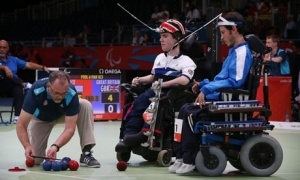 Wheelchair Basketball, Curling, Dance Sport, Fencing, Rugby, and Tennis. As with all types of athletes, injuries are common among athletes with disabilities. A study from Ferrera et al, (1992) showed that out of 426 athletes who participated in the national competition of the National Wheelchair Athletic Association (NWAA), the United States Association for Blind Athletes (USABA), and the United States Cerebral Palsy Athletic Association (USCPAA), a total of 32 percent of the athletes sustained some sort of injury which resulted in loss of time able to compete. Over half of the injuries to the athletes who were blind were to the lower extremities. Injuries to the athletes with cerebral palsy were fairly evenly distributed between the knee, shoulder, forearm/wrist and leg/ankle areas. This study demonstrates that instances of injuries among athletes with a disability was nearly equal when compared to athletes without a disability. In a review by Fagher and Lexell, (2014), the authors looked at 25 studies involving sports-related injuries to athletes with disabilities. They were looking at characteristics, number of incidents, prevalence, and well as prevention strategies for injuries to these athletes. This review found that there are very few studies done specifically for athletes with disabilities, and fewer still that breakdown athletes into specific age groups, types of injuries, etc. Among the important statistics found in this report, it was shown that the prevalence of injuries at the Summer Paralympic Games in 2012 was around 17% of athlete’s that participated sustained some sort of injury. As with the previous study, the number of injuries among participants with injuries was approximately equal to the number of injuries among athletes without a disability. Another article examined injuries to athletes with disabilities attending high school (Ramirez et al, 2009). In contrast to the other studies, the percentage of injuries per athlete was approximately 7.5%, which is much lower than the percentages in athletes in the studies above. More than half of the injuries were minor, and a majority of the injuries were to lower extremity sites (44%), as compared to 26% to the upper extremities and 21% to the head/neck/face areas. This study also broke down whether the injuries occurred during practice or games. The strong majority of injuries, 71%, occurred during practice or conditioning activities. Walking or running activities accounted for more than half of the injuries found during this study, and most involved a collision with either another athlete or an object. Only four athletes in this study were injured to the extent where they had to miss more than one day of activity due to the injury. Once again, these numbers were comparable to the incidence of injuries sustained by athletes without disabilities. The key statistic common in all of these studies is, contrary to common belief, the incidence, and extent of injuries in athletes with disabilities does not appear to vary greatly from those of athletes without disabilities. Athletes with disabilities are predisposed to medical conditions and have a higher prevalence than that of a non-disabled individual. Understanding these conditions are vital to the proper prevention, care, and return to activity for these athletes. The following briefly describes these conditions, though this is not an exhaustive list due to the vast anatomical and structural variances that occur with individuals with disabilities. 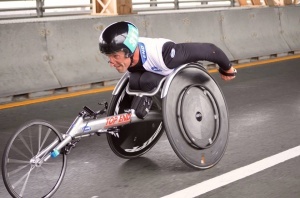 Robert Kozarek competing in the New York Marathon, 2015. 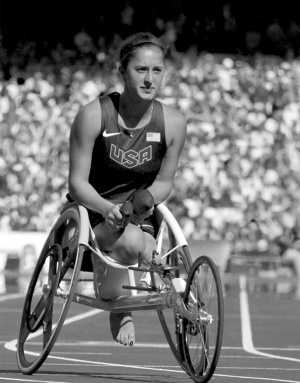 Many athletes utilize a wheelchair as means of mobility. These individuals have primarily sustained a spinal cord injury (SCI) leaving them unable to have voluntary control over extremities. One of the most pressing conditions individuals with a SCI injury can encounter is autonomic dysreflexia. This condition is normally seen in with individuals whose injury is at or above the T6 spinal level. Autonomic dysreflexia begin with a noxious stimulus below the level of the lesion and the body’s exhibits an uncontrolled sympathetic response. This is a medical emergency requiring immediate attention. Klenck and Gebke (2007) report that some athletes, regardless of the dangers, attempt to intentionally induce autonomic dysreflexia leading them to a competitive advantage because of an increase in cardiac output . Other medical considerations for athletes with a SCI include thermoregulation, pressure sores, neurogenic bladders, premature osteoporosis, peripheral nerve entrapment syndromes, and musculoskeletal injuries. Thermoregulation is decreased due to loss of the autonomic nervous system and cooling and heating mechanisms such as sweating and shivering. Losing sensation also contributes to temperature-related injury, especially during temperature and environment extremes. Athletes with SCIs require skin monitoring not only for environmental exposure, but also for areas of increased pressure. These areas include the sacrum and ischial tuberosities; sports wheelchairs that position the knees higher than the buttocks and provide a decrease in the risk of developing pressure sores. The lack of bowel and bladder control poses an increased risk for urinary track infections due to incomplete voiding, increased pressure, and catheter use . Individuals with a SCI are also more prone to musculoskeletal co-morbidities. Premature osteoporosis may be present due to decreased muscle use and demineralization while peripheral nerve entrapment in upper extremities are likely due to increased use and pressure over soft tissues from manual propulsion. Athletes with cerebral palsy are largely affected by spasticity. This predisposes individuals to musculoskeletal injuries. Knee injuries occur frequently due to abnormal forces at the patellofemoral joint from muscle spasms; those with cerebral palsy oftentimes also have ankle and foot deformities including equinas, equinovarus, and valgus deformities . Each of these can cause altered biomechanical stresses and musculoskeletal injuries. Hannah McFadden competing for Team USA. Vision is a vital component to our sensory system. Humans utilize vision to orient and interact with the environment. Athletes that are blind and compete in athletics have decreased proprioception that can result in altered biomechanics and gait leading to lower extremity overuse injuries as well as ankle sprains and contusions. Athletes with intellectual disabilities participate in Special Olympic and Paralympic events. While many intellectual disabilities are represented, athletes with Down’s Syndrome make up a large portion of this group. Those with Down’s Syndrome have several co-morbid disorders that affect their health and ability to participate in athletic events. These athletes oftentimes have ocular and visual deficits which can impact their ability to interact with the environment as well as congenital heart disease such as the Tetrology of Fallot which can affect performance. In regards to orthopedics, those with Down’s Syndrome have biomechanical and structural abnormalities that impact activity. Mik, Gholve, Scher, Widmann, and Green (2008) noted that all down syndrome athletes must undergo screening with cervical spine radiographs prior to participation in the Special Olympics. This is due to the abnormal articular anatomy of the upper cervical joints C1-C2. These joints can be foot or rockered as opposed to the normal cup-shaped. Tassone and Duey-Holtz (2008) also note that other abnormalities such as hypoplasia of C1, abnormal body structure of C2, hypoplastic posterior arch of C1, and fusions contribute to upper cervical instabilities. These instabilities can lead to serious injury to the spinal cord, permanent life changes, and further disability. Mik and colleagues (2008) also discussed other orthopedic issues with individuals with down syndrome. Several of these conditions are due to the increased laxity in connective tissue. These conditions include arthritis, hip problems, patellofemoral instability, and foot disorders (Mik et al. 2008). Increased laxity is particular a problem with maintaining normal joint kinematics. As ligaments become more lax, bones that make up the joint are able to move more freely, yet in a way that is detrimental to normal mechanics and leads to further injury. This website serves as a resource for both physiatrists (a physician specializing in physical medicine and rehabilitation) and potential patients. This site has a directory of organizations for athletes with disabilities, which are even further organized by sport. The AASP is a not-for-profit organization that works to provide the opportunities for kids in grade school (1-12) with disabilities to participate in sports. Their resources page provides access to rules for wheelchair sports, training videos (some for purchase), suggested drills, as well as a first aid guide for coaches of adapted sports. This site provides a plethora of links to various adapted sports organizations, from camps to international association, this is a great site for a wide range of resources. The home page also has a number of links for individuals living with a disability, including (but not limited to the following): adapted clothing, wheelchair products, computer accessibility products, housing resources, and many more. This organization exists to improve the lives of individuals with disabilities. They organize recreational and athletic events as well as educational programs. Disabled Sports USA has local chapters across the US which encourage more individualized and community-specific resources. The “Resources” tab offers links to various adaptive sports, equipment, videos, blogs, their magazine, and press releases. 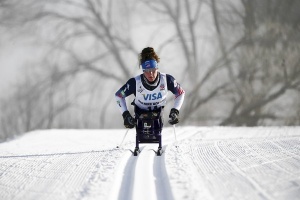 The United States Olympic Committee (USOC) has made an effort to increase involvement in Paralympic sports and to promote opportunities for individuals with disabilities to compete in athletic events. Their resource page has links to information on eligibility, Paralympic sport clubs, grants and scholarships, a coaching guide, and other helpful information. The USOC has started Gateway to Gold initiative to help identify young talent and the information can also be found on the resources page. World T.E.A.M. (The Exceptional Athlete Matters) is a not-for-profit organization designed to coordinate athletic events for athletes with disabilities as well as athletes without disabilities. This website provides links to various organizations that support athletes with disabilities, athletes’ websites who have disabilities, as well as events. Also, it has helpful links to information about “mortgage and home loan help guide for the disabled”, “success for the college students with disabilities”, and “tips for travelers with disabilities”. ↑ Paralympic Movement. Sports. 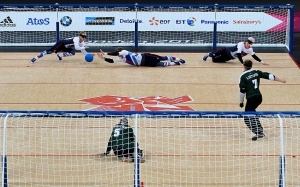 http://www.paralympic.org/sports (accessed 17 Nov 2015). ↑ Ferrera, MS, Buckley, WE, McCann, BC, Limbird, TJ, Powell, JW, Robi, R. The injury experience of the competitive athlete with a disability: prevention implications. Med and Sci in Sports and Exercise, 1992;24(2):184-8. ↑ Fagher, K., Lexell, J. Sports-related injuries in athletes with disabilities. Scan J of Med and Sci in Sports, 2014; 24:e320-e331. ↑ Ramirez, M., Yang, J., Bourque, L., Javien, J., Kashani, S., Limbos, MA, Peek-Asa, C. (2009). Sports injuries to high school athletes with disabilities. Ped, 2009;123:690-696. ↑ 5.0 5.1 5.2 5.3 5.4 5.5 5.6 5.7 Klenck C., and Gebke, K. (2007). Practical management: Common medical problems in disabled athletes. Clinical Journal of Sports Medicine, 17(1), 55-60. ↑ Mik, G., Gholve, P., Scher, D., Widmann, R. and Green, D. (2008). Down syndrome: orthopedic issues. Current Opinion In Pediatrics, 20(1), 30-36. ↑ 7.0 7.1 Tassone, J., and Duey-Holtz, A. (2008). Spine concerns in the Special Olympian with Down syndrome. Sports Medicine and Arthroscopy Review, 16(1), 55-60. ↑ 8.0 8.1 8.2 Hawkeswood, J. P., O’Connor, R., Anton, H. and Finlayson, H. (2014). The preparticipation evaluation for athletes with a disability. International Journal of Sports Physical Therapy, 9(1), 103–115. 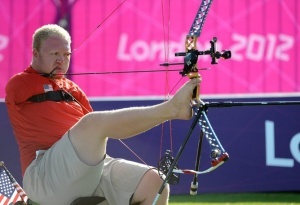 ↑ 9.0 9.1 9.2 9.3 9.4 9.5 9.6 9.7 9.8 Paralympic Movement. Classification. http://www.paralympic.org/classification (accessed 17 Nov 2015). ↑ American Association of Intellectual and Developmental Disabilities. http://aaidd.org/intellectual-disability/definition#.VkvAzKJGRKo (accessed 17 Nov 2015). ↑ American Academy of Physical Medicine and Rehabilitation. Patients and Family: directory of athletes with disabilities organizations. https://www.aapmr.org/patients/resources/Pages/AthleteDisabilitiesIndex.aspx (accessed 16 Nov 2015). ↑ American Association of Adapted Sports Programs. Resources. http://adaptedsports.org/download-resources/ (accessed 17 Nov 2015). ↑ Disability Information and Resources. Sports training and athletic competition. http://www.makoa.org/sports.htm (accessed 17 Nov 2015). ↑ Disabled Sports USA. Resources. http://www.disabledsportsusa.org/ (accessed on 16 Nov 2015). ↑ Sports Physical Therapy Section. Special interest groups: physically challenged athletes. 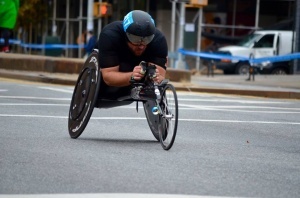 http://www.spts.org/education/special-interest-groups/physically-challenged-athletes (accessed 17 Nov 2015). 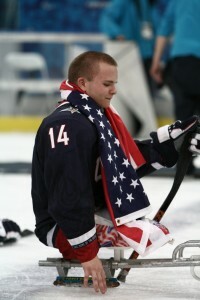 ↑ U.S. Paralympics. Resources. http://www.teamusa.org/us-paralympics/resources (accessed on 18 Nov 2015). ↑ World T.E.A.M. Sports. Resources. http://worldteamsports.org/resources/ (accessed 16 Nov 2015).